The Hummel is a construction by Ing. Wilfried Klinger and now available as ARF finished model. For the ARF version we have exactly kept the original size of the modular model. 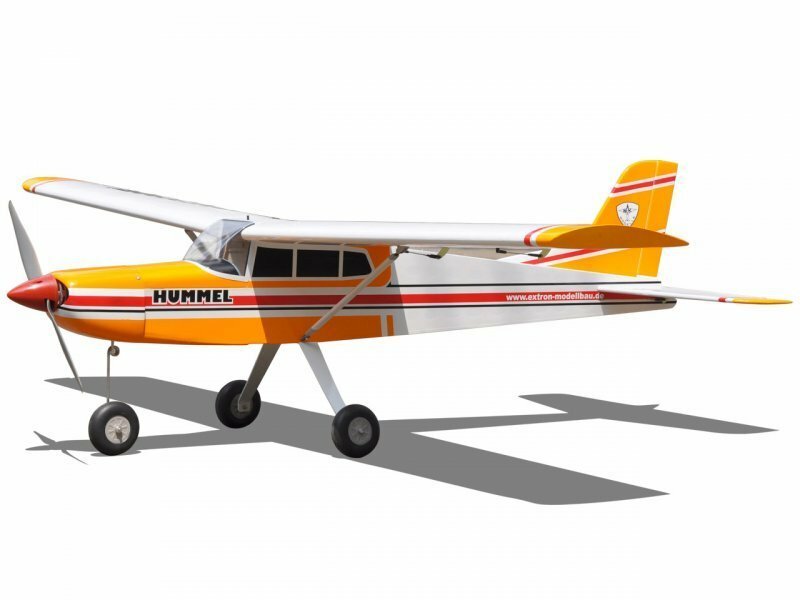 The Hummel has been improved in many details. 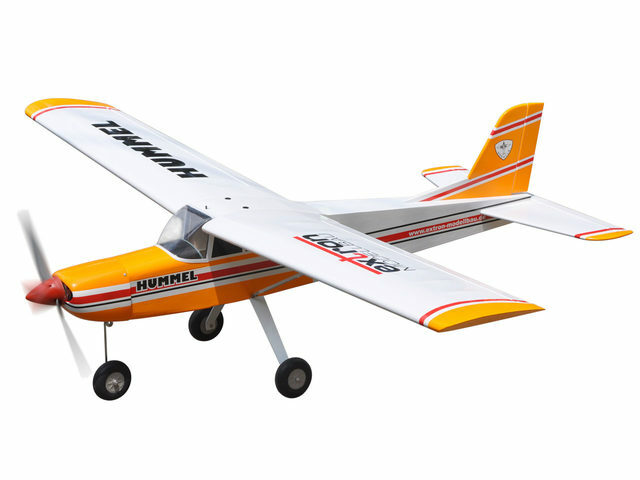 The high wing model convinces by good-natured, easy to control flight behaviour. 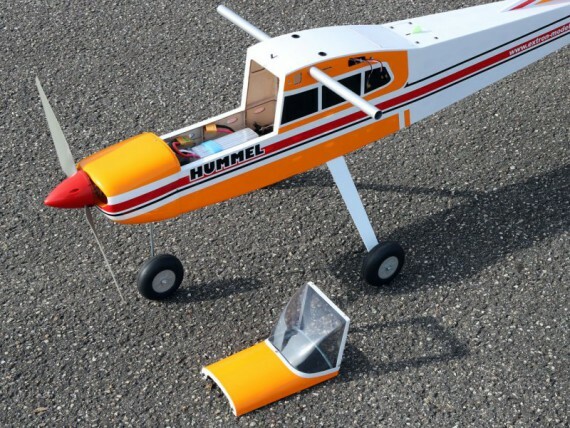 Due to its considerable size, the Hummel's flight attitude detection in the air is very good. 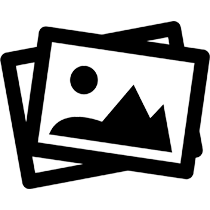 Nevertheless, the model can be easily transported in any normal car due to the 2-part wing. 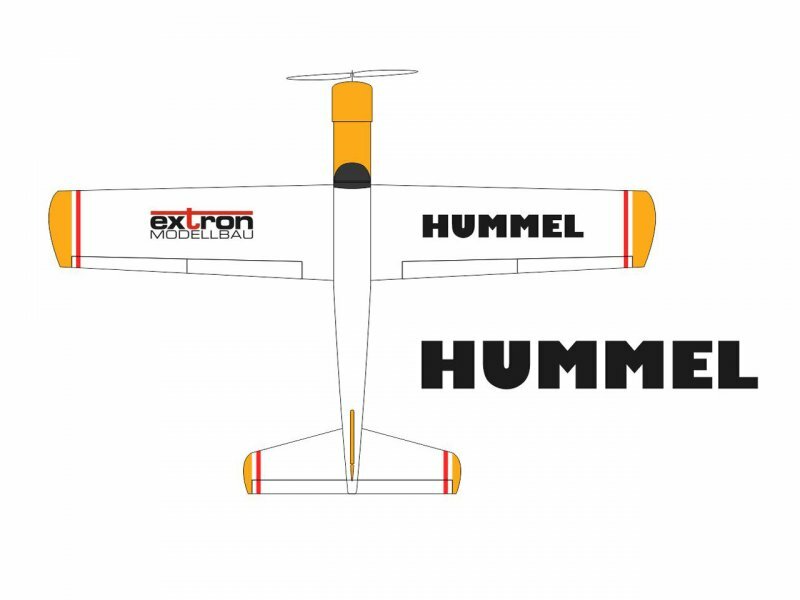 The Hummel can also be flown with a 2-leg undercarriage (undercarriage and mounting points available from the factory). 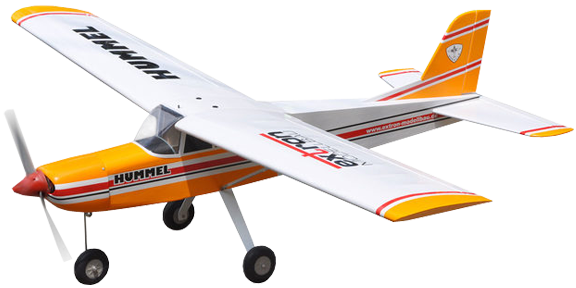 The recommended motorization for powerful towing and aerobatics is a 6S electric drive. The installation of a combustion engine with 15-25cc displacement is also possible.